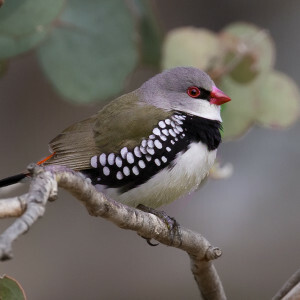 In 2013, Connecting Country developed a detailed 10-year Woodland Birds Action Plan for the Mount Alexander region with the assistance of external experts. This plan identified five focal species that we have dubbed ‘the feathered five’. 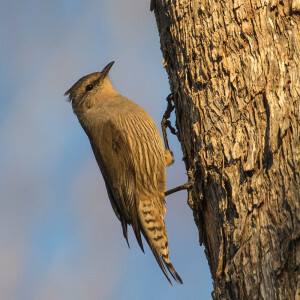 The ‘feathered five’ are ground-foraging woodland birds known to occur in the local area; Diamond Firetail, Jacky Winter, Hooded Robin, Brown Treecreeper and Painted Button-quail. 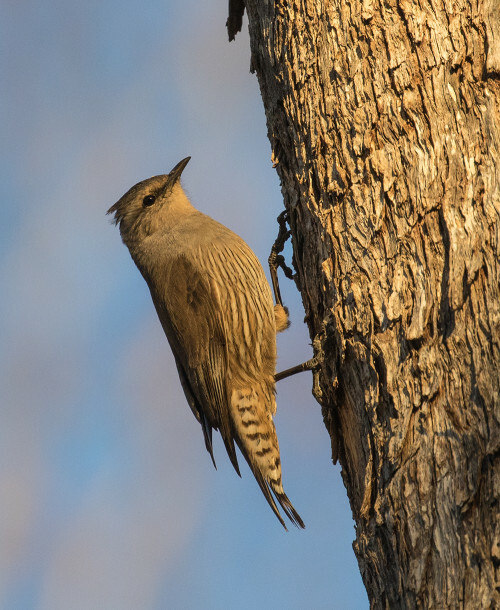 The ‘feathered five’ have all been declining in number and range in recent years, and are listed as threatened, along with a number of other bird species, in a group known as the Temperate Woodland Bird Community. 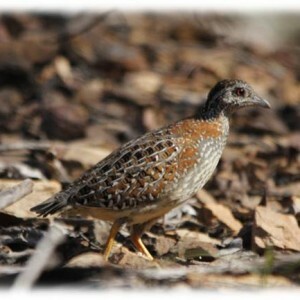 ground foraging birds are very susceptible to the pressures that are causing woodland birds to decline. If we can keep track of and look after these five species, then we can assume the rest of them will be OK too! Some of the things that the birds are struggling with are: predation by foxes and cats, loss of leaf litter and branches, drought, and altered fire regimes. 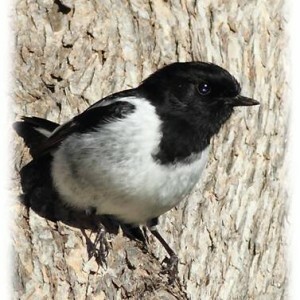 There are a number of ways to help these small woodland birds. 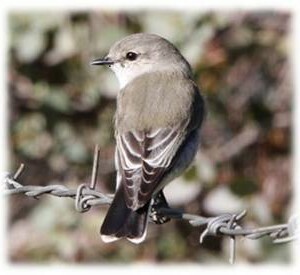 Weed removal and supplementary planting will help their core habitat, and larger scale landcare projects that connect isolated patches of bush will help the birds move around the landscape. Keeping the bush area part of your property messy with lots of fallen timber, branches and leaf litter will help provide feeding areas and protection from predators. And finally – send in your sightings! 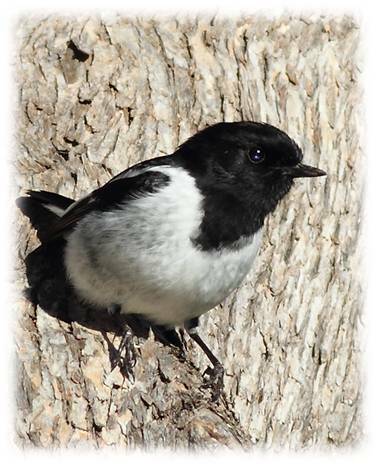 Visit our monitoring pages here or download the Feathered Five Sightings Sheet 2015 to submit your sightings of the feathered five. Nests in prickly wattles, mistletoe clumps or even nests of eagles and Whistling kites! 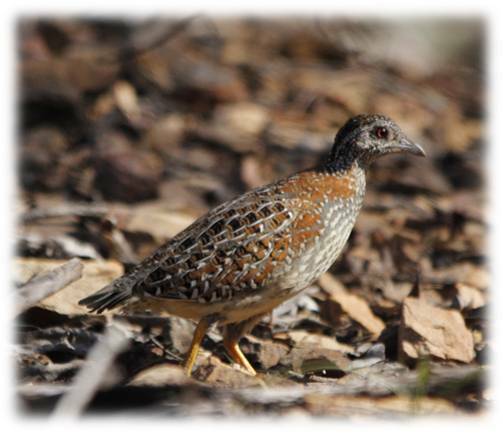 Breeds cooperatively – young from previous years help the parents raise the young. 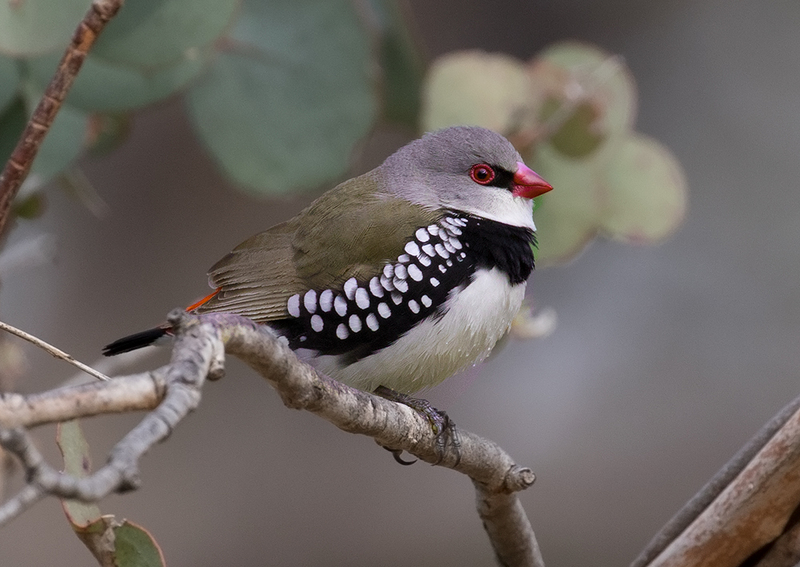 The females are more brightly coloured – and she mates with several males who then raise the young!